Some of them are alarming: From fakes to funny, here are the 40 most viral YouTube videos of 2013. Minutes you'll want to use: LiveMinutes is an app that allows real-time collaboration within Evernote, with chat and conference-call capability. See the tutorial here. Next time: What's next? Find out why social networks are crazy for private messaging, and adjust your plans accordingly. Time for a change: Why get frustrated in real time? 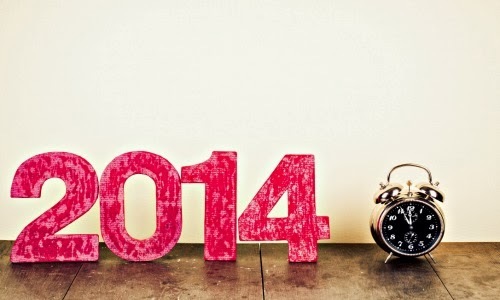 Work ahead of schedule and learn what to watch out for from Facebook in 2014. Good timing: Just in time for the new year comes word that Google+ is now second only to Facebook in terms of monthly visitors--plus 4 other social media trends. 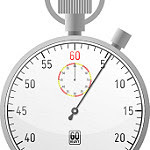 Time for the meeting: World Meeting Time helps you set up meetings in multiple time zones. A useful app for keeping you on time. Pinned to the schedule: If you want a quick lesson in the many ways to use Pinterest, check out its top pins for 2013. According to the latest Pew data, Pinterest is used by one-fifth of all U.S. adults and one-third of the women in the U.S.
Face time: Google+ doesn't allow you to put Hangouts into a homescreen widget, but someone made a workaround for you. Time out: It was a bad week for the Washington football team. So bad that the PR director yanked a microphone out of a reporter's hands. Kids, don't do this at home. Start all over again: The title of this pep talk says it all: While everyone else whines, this guy makes his whole living off Facebook. Some good ideas for getting around the drop in page views here. It's time: Brené Brown is a smart thinker on vulnerability. Just one gem from this piece on why doing awesome work means making yourself vulnerable: "Wherever perfectionism is driving, shame is riding shotgun." An inspiring read to start the year. So excited to be starting a fresh new year with you, right here, right now. Happy new year! Gosh, I hope you're following don't get caught in all the places we work on the web: On the DGC Facebook page, on Twitter, on Google+, on Pinterest, and via my free monthly newsletter, as well as right here on the blog.